Ever since its debut, we’ve been thinking about what it would be like to make an ever faster iteration of the Audi A5 Sportback. The Sportback version of the A5 is essentially a four-door, 2+2 with a liftback tailgate. So it’s more practical than the standard A5 Coupe. That makes it quite an appealing overall package, because it can provide the same sports car thrills as the A5 but with the added practicality of an A4. So the idea of making it even faster is an exciting one. 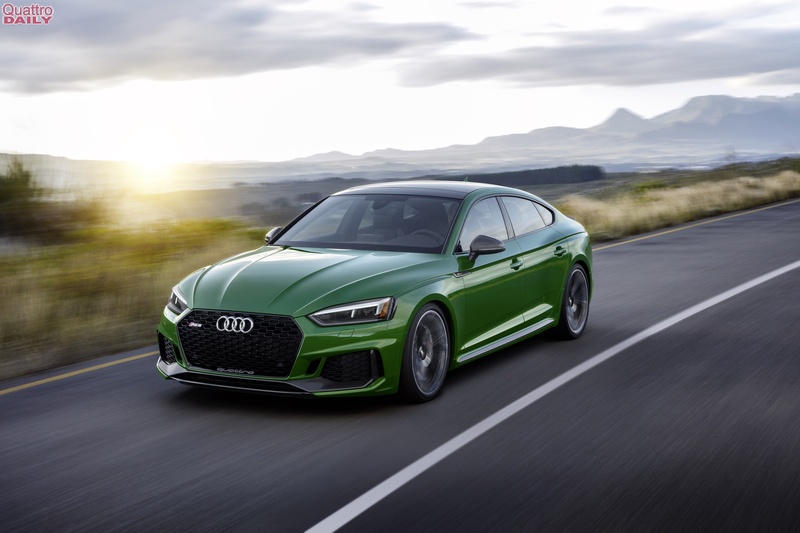 And now, such a car is here — welcome the 2019 Audi RS5 Sportback. 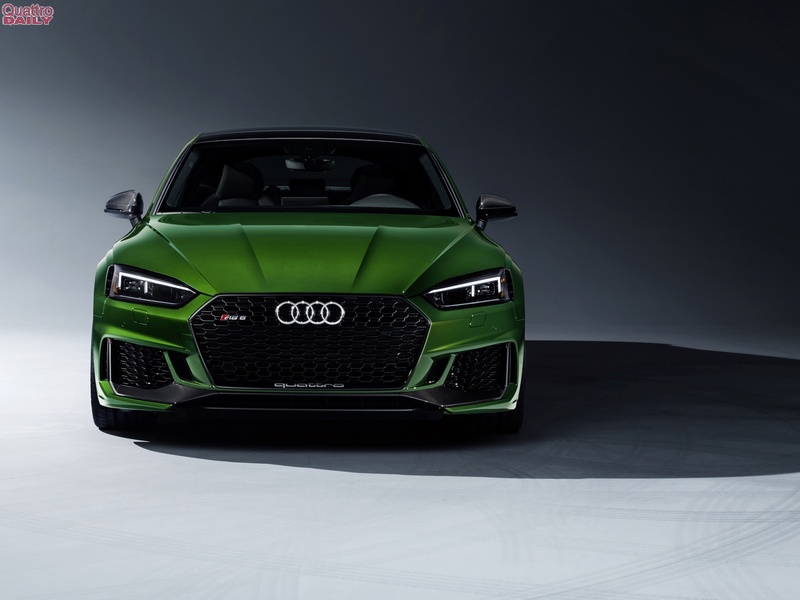 Just ahead of its debut at the 2018 New York International Auto Show, Audi revealed the RS5 Sportback to the world. 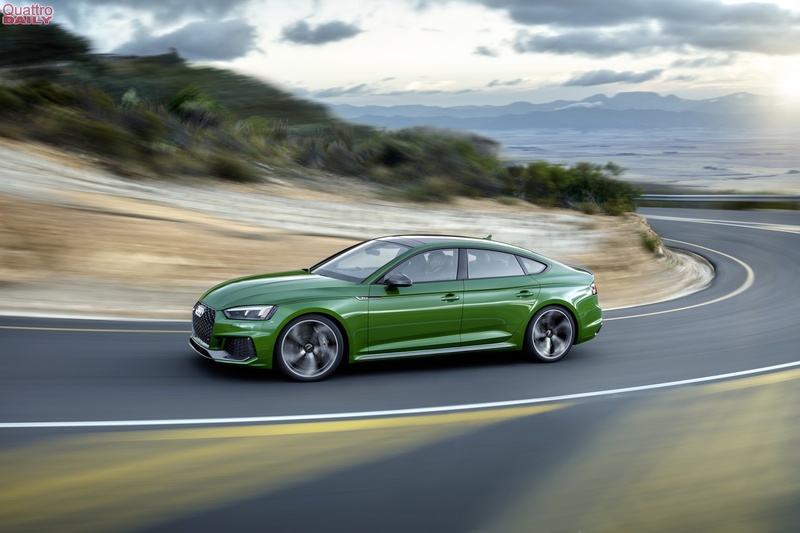 It is, in a nutshell, the very same car as the Audi RS5 Coupe, only as a four-door liftback. 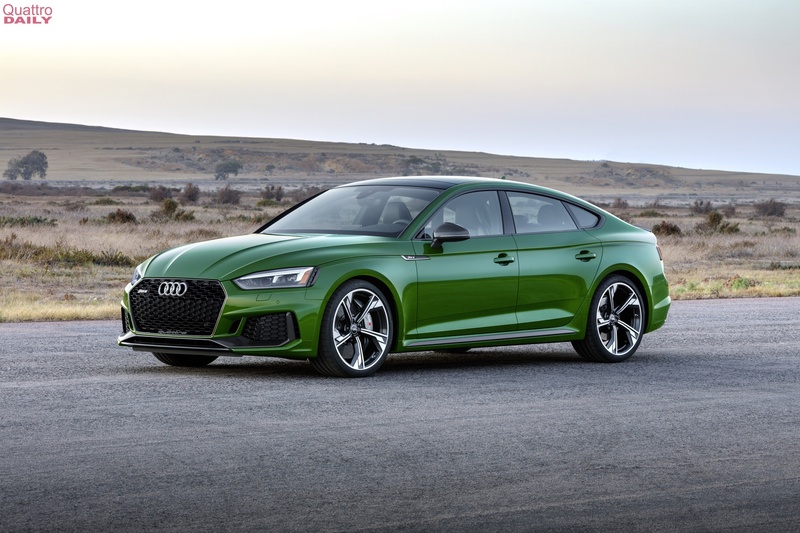 On the outside, there isn’t much to distinguish the Audi RS5 Sportback from its S5 Sportback sibling. It has some more aggressive touches, like the lower front air intakes, the sportier black side skirt-inserts and the massive dual exhausts, but it’s nothing too flamboyant. Which is good in a car that’s designed to be equal parts performance machine and pragmatic four-door. To be honest, it’s all very similar to that of the RS5 Coupe. So, dynamically, at least. We’re not expecting any big chances in the way it drives. 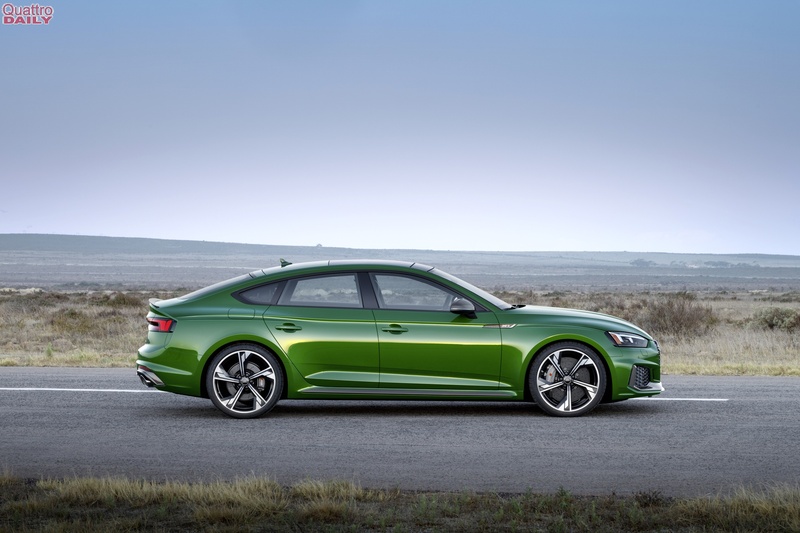 Having said that, the Sportback body style might actually fit the RS5 better. First, it’s a bit more relaxed of a car than the Coupe, meaning that its lack of absolute purity doesn’t seem like such a big deal. Also, it won’t be seen as purely a sports car or weekend toy, as it has the practicality to handle daily-duty. On the inside, the RS5 Sportback is near identical to the RS5 Coupe.That’s not a bad thing, though, as both cars have superb interiors. 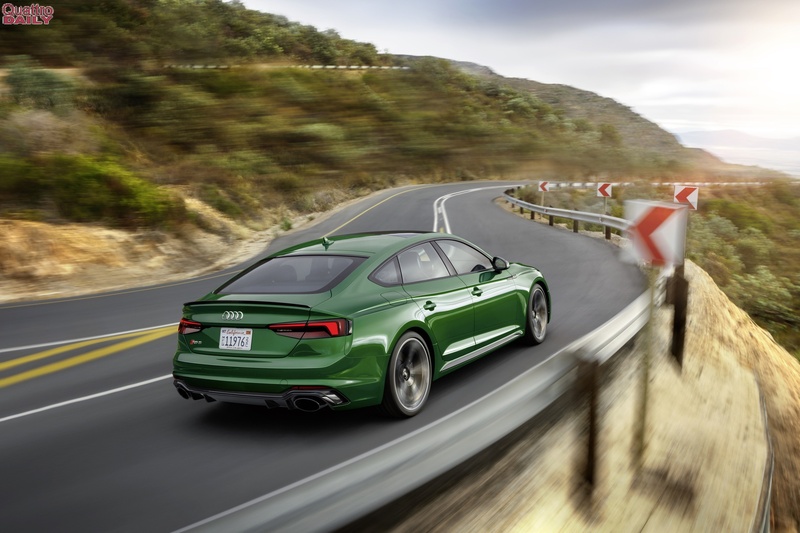 We think it looks quite good, the Audi RS5 Sportback, and we’re going to bring more for you on it soon. We’ll be live at the NYIAS on Mar 28 and we’ll bring you as much as we can on the RS5 Sportback.